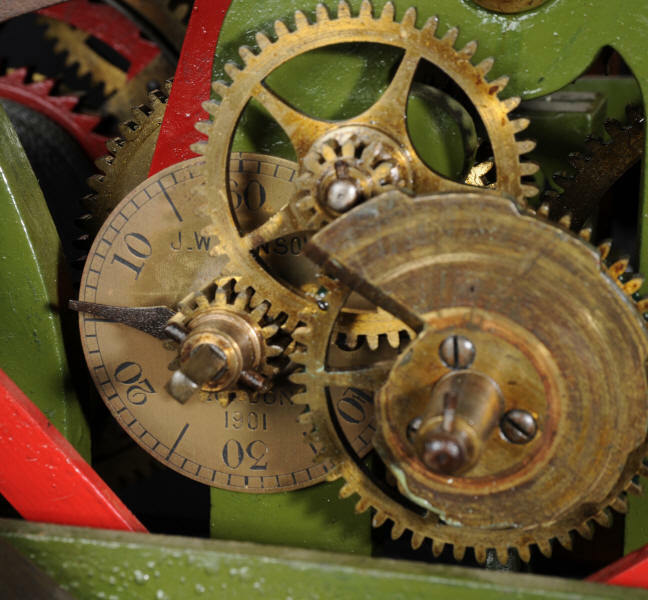 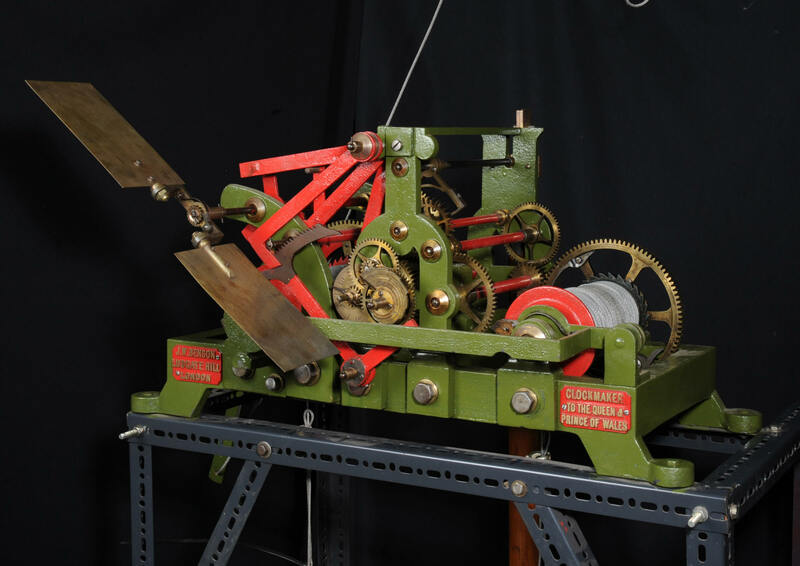 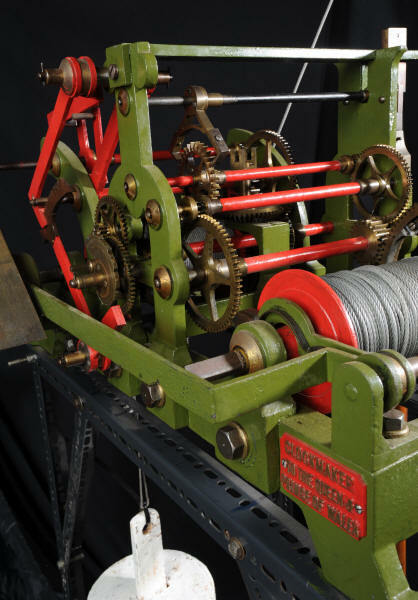 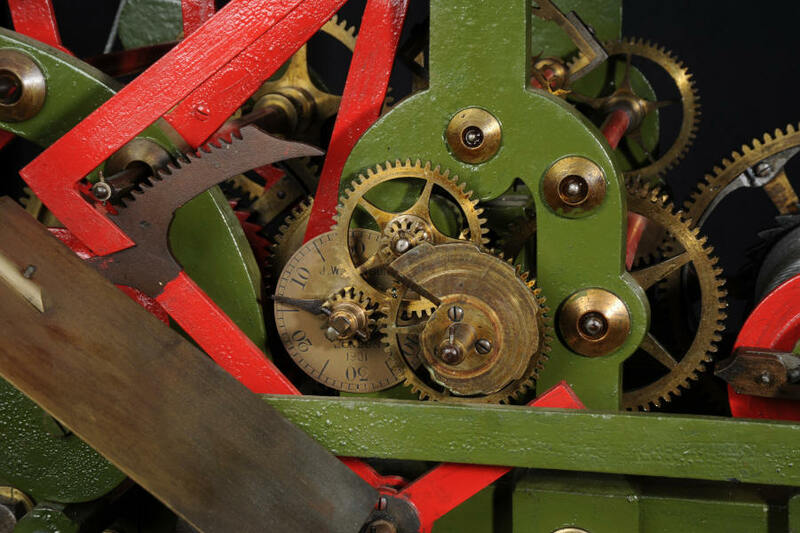 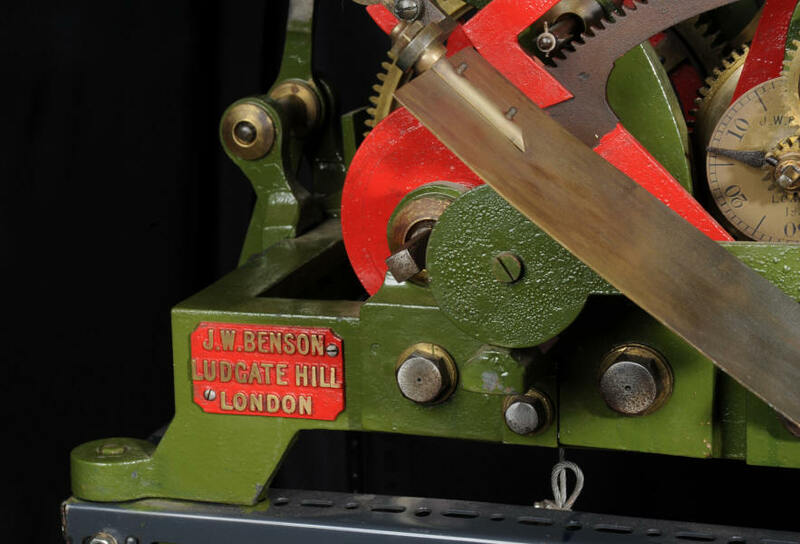 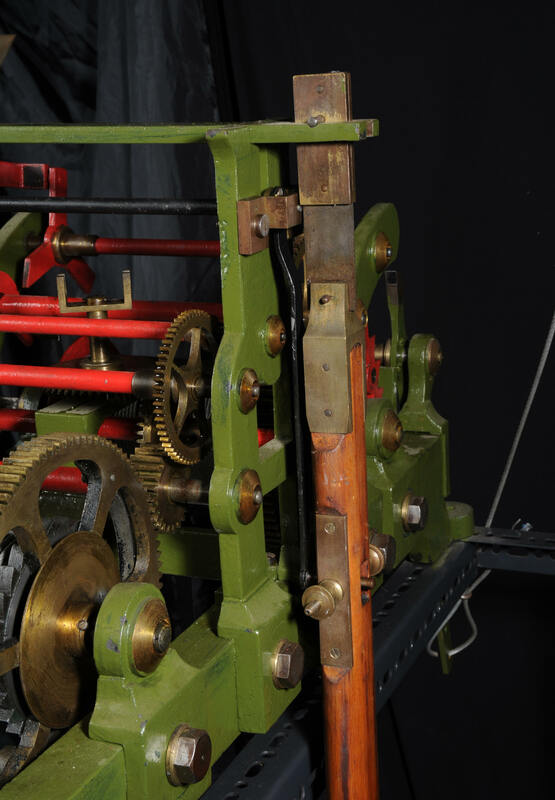 A superb striking turret clock movement by the world renown maker J. W. Benson of Ludgate Hill, London. 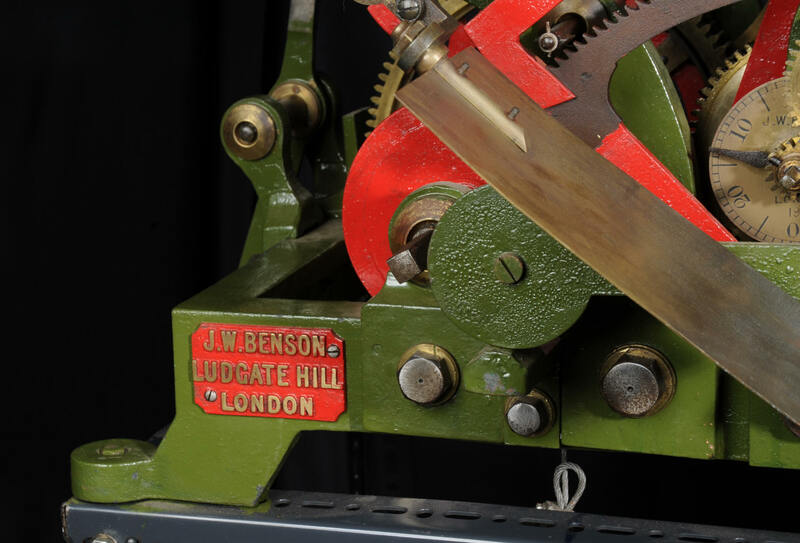 It is of the firms usual horizontal, heavily constructed cast iron frame and beautifully machine brass wheels and is fully working (see the video clip below). It has hourly rack striking for a suitable bell and maintaining power. 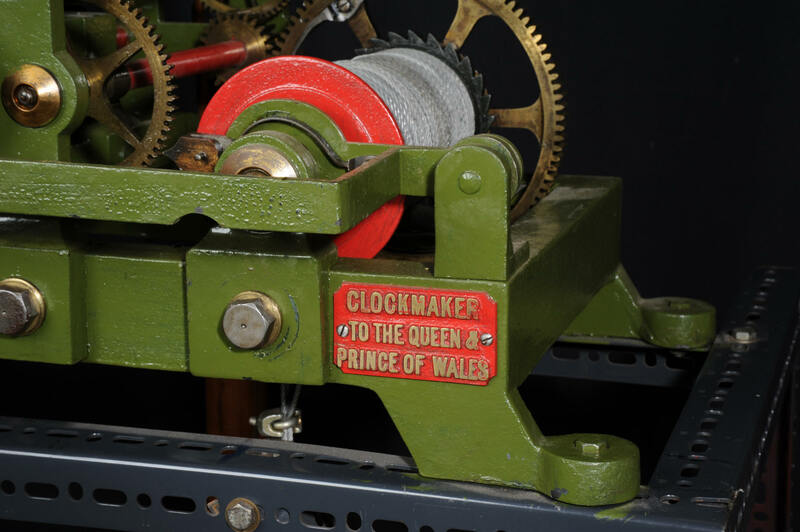 The clock has been subject of a previous restoration and is in good running condition, will require timing up and adjustment. 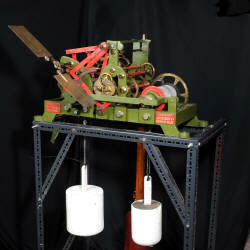 It has recently fitted wire rope and a test stand made from dexion. It is complete with original pendulum and two weights. 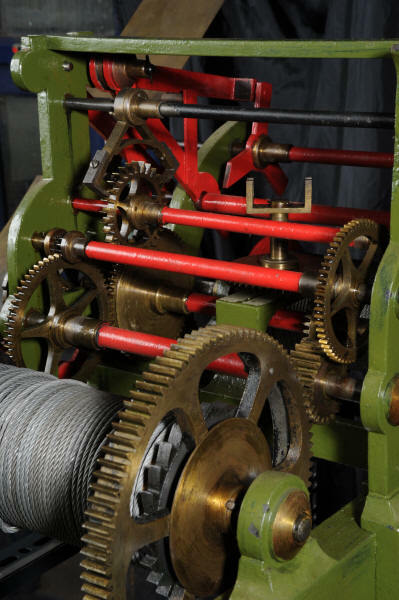 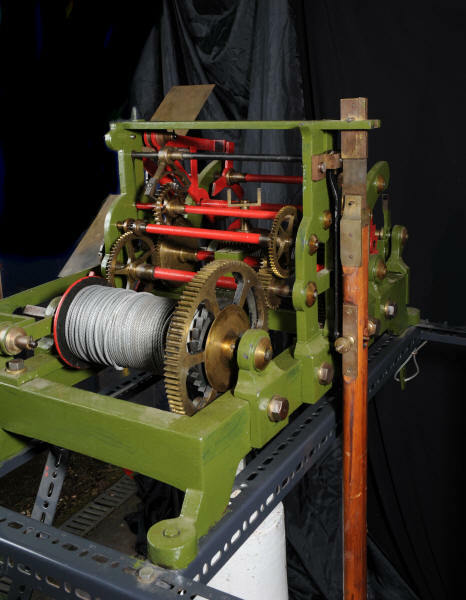 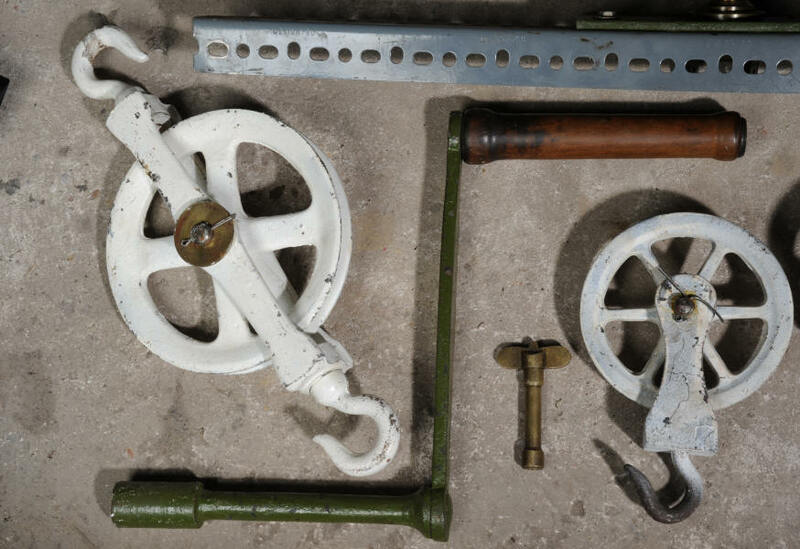 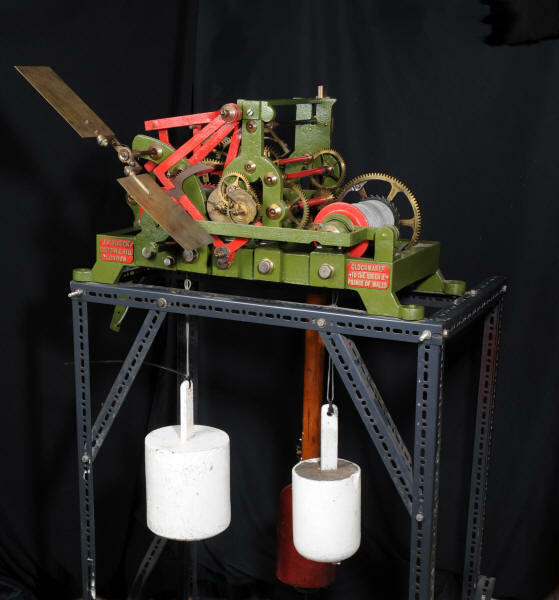 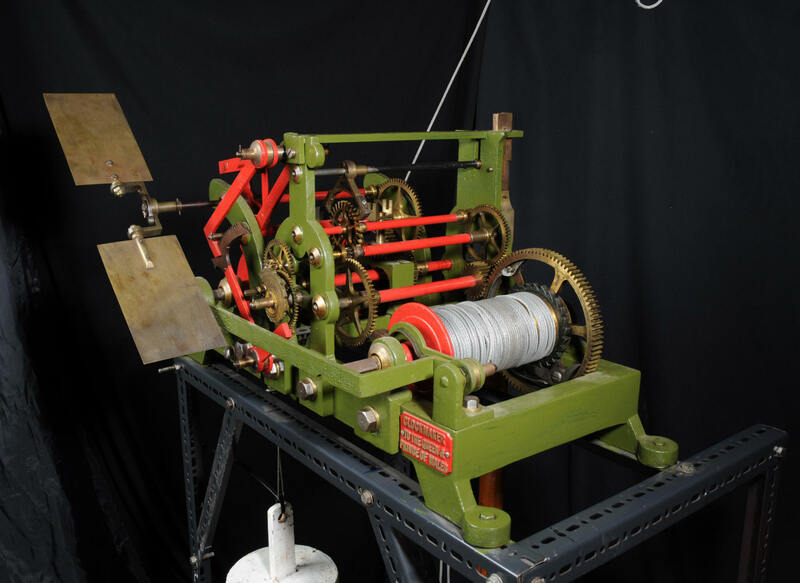 The clock comes with the accessories pictured below, winding crank, setting key, 5 pulleys for weights and bell strike, 2 additional weights, a short drive shaft, a three dial bevel drive and a 50v / 50 hz synchronous motor (not tested). 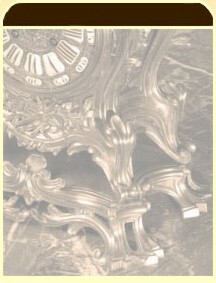 We can supply a bronze bell if required. 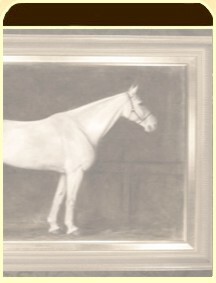 Height 55", Width 31", Depth 33"
Height 15 1/2", Width 30.5", Depth 22"